Every single company has its own unique set of needs and challenges in regards to their IT infrastructure. As such, every business has its own set of disaster recovery needs. So unfortunately there is no umbrella disaster recovery checklist template to follow. However, there are ways that businesses can build their own disaster recovery checklists to ensure that all of their internal and external components are working together to ensure their disaster recovery plan is in place, and functioning properly. The first step in a disaster recovery plan is to identify how much data needs to be backed up and for how long. Do you want to back-up all server data? Or just mission critical data? Do you need to backup application data as well? Once you decide what needs to get backed up, you need to define for how long. Does your business want to keep a repository of 6 weeks’ worth of data, 6 months’ worth of data, or 6 years? Once you have these ideas in place, you can work on laying out the process for restoring data from the backups in the event of a disruption of service or physical hardware failure. In an ideal world, IT environments would run perfectly 100% of the time. Unfortunately this cannot be guaranteed and as a result, businesses need to plan recovery time objectives in case of an outage. These objectives will outline the parameters for how quickly a business needs to be back up and running. Is the business in an industry where downtime can mean significant losses in revenue? Then perhaps the recovery time objectives for this type of company need to be less than 10 minutes. 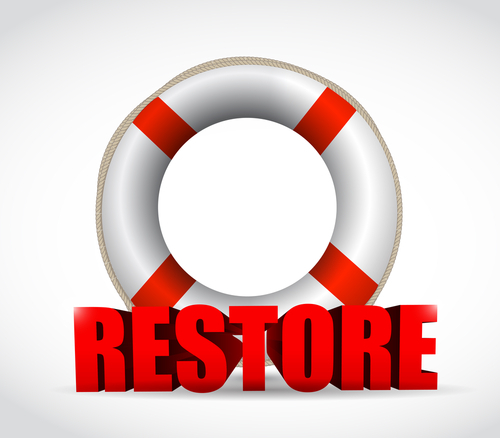 Other businesses may have different requirements and may plan for a recovery time of one hour, or even a few days. It all depends on what their individual needs are. Your data is stored in complex layers in many locations on your servers. You need to make sure that every single kilobyte of data is backed up properly. To do so you should implement a multi-layered backup approach. This includes image based backups of the entire server, local file level backup, and local database level backup. All of these backups can be stored onsite either on a separate dedicated server or on a virtualized server. After you have all of your local backups in place, you can then set up off-site backups in the cloud. Need some help answering these questions? We’d be happy to help. A Privo IT consultant can work with you and your business to define all of the objectives listed above to come up with a disaster recovery plan customized for your company.